This program is designed for Stage 1 students who are learning about their living world. Students will examine a variety of external features of plants and learn how these features can be used to help us to classify living things. Students will experience the wet environment of the rainforest and the dry environment of the sand dunes. They will have the opportunity to compare the different types of vegetation and fauna present in each of the environments. Students will undertake fieldwork to identify plants and animals at both sites and explore how different places in the environment provide for the needs of living things in different ways. Students will examine the external features of insects and learn how these characteristics help us to identify and group living things. They will also learn about the life cycle of insects and how animals change as they grow. Students will examine live specimens and identify how living things live in different places that suit their needs. 1. What are the external features of living things? 2. How do living things change as they grow? 3. How can we improve a local environment to encourage living things to thrive? Students explore two different environments at Bournda National Park – a rainforest and a sand dune. At each location students learn about the needs of the living things they discover there. They learn how different environments provide different things that animals and plants need to survive. 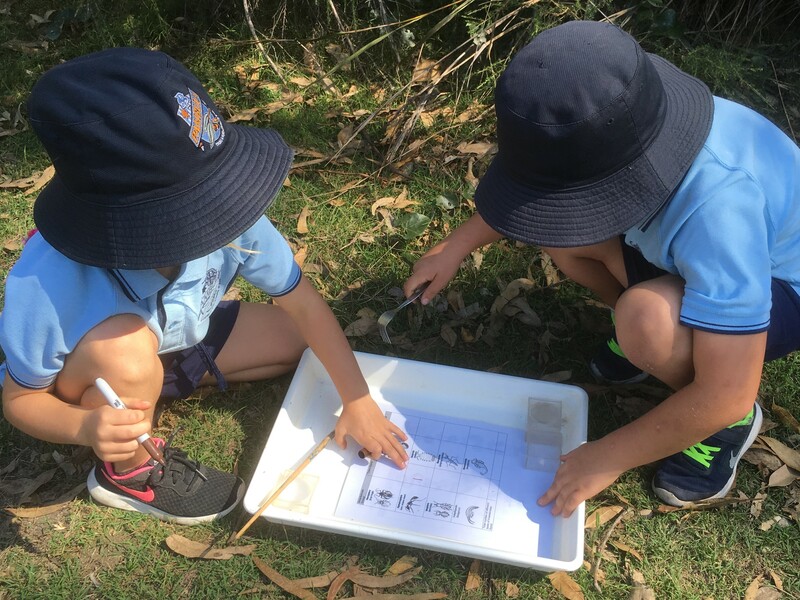 Students conduct fieldwork to identify plants and animals in the two environments. They observe and discuss the external features of plants living in the two environments, one wet and one dry, and look at how they differ. Rainforest Walk: students walk to the rainforest and conduct fieldwork to identify the plants and animals living in this environment. Students work in pairs or small groups and use a plant identification sheet to locate rainforest plants. External features of plants are observed and discussed in relation to how they allow plants to survive in this wet environment. Sand dune walk: students walk through the melaleuca forest to the beach and conduct fieldwork to identify plants and animals living on the sand dunes. Students work in pairs or small groups and use a plant identification sheet to locate coastal plants. External features of plants are observed and discussed in relation to how they allow plants to survive in this dry environment. Students learn about the external features of living things they discover at Bournda and learn how to identify and group these living things based on their external features. They will also learn how these living things change as they grow. 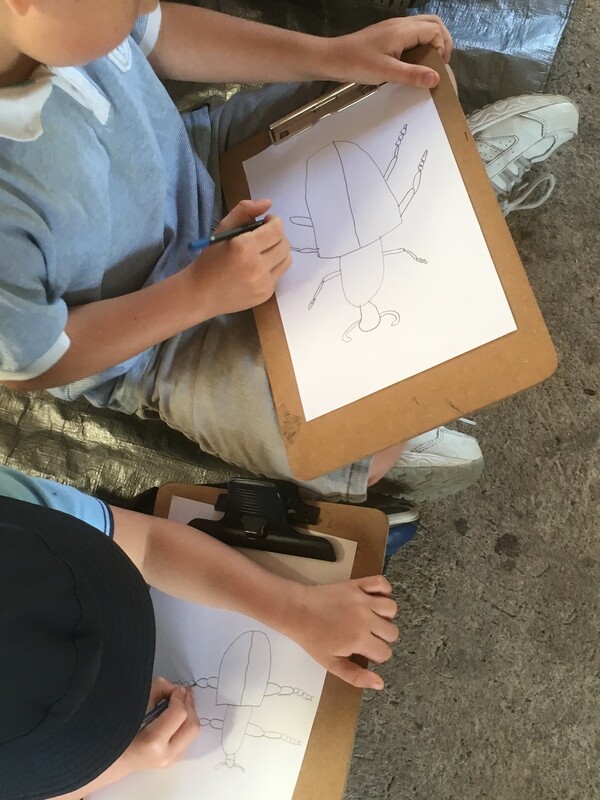 The features and life cycles of insects: students brainstorm all the animals they think they may see at Bournda on their visit. All the insects are chosen and students are asked to try and come up with features that all the insects have in common. Students complete a jigsaw of insect body parts as a whole group and then examine some insects through a digital microscope. The image from the digital microscope is projected onto a whiteboard and students are guided through a line drawing activity of an insect, focusing on the parts of an insect. Life cycles of insects are then explored using insect replicas and the life cycle game is played. Students then conduct a mini-beast hunt and classify their findings. Exploring living things by the lake: students walk to Wallagoot Lake where they observe live specimens that have been collected from the lake. Students work on classifying the living things into plant and animal groups and then work as a whole class to identify and sort the living things into groups. Students compare the environments of these aquatic animals and plants to those of animal and plants that live on the land.